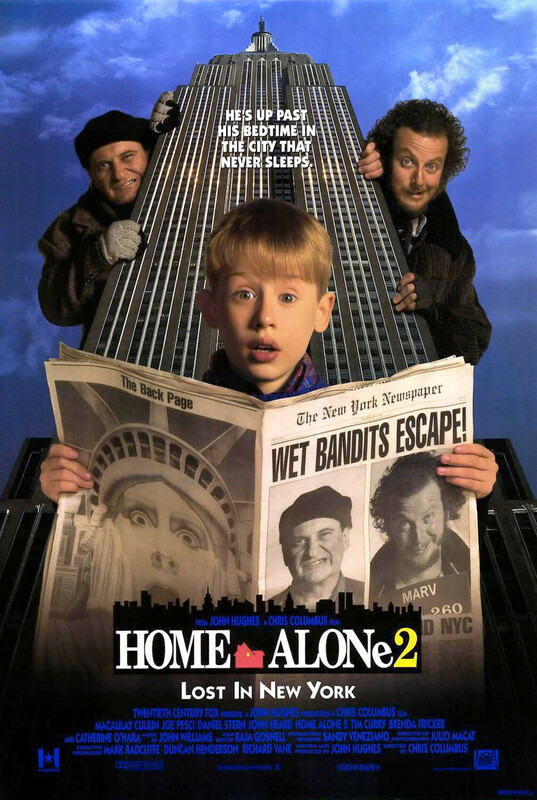 Kevin McCallister is back in this charming, albeit repetitive, sequel to the smash hit "Home Alone." This time, the precocious boy played by Macaulay Culkin winds up alone in New York City, where he poses as his father in order to stay in a hotel room in luxury. He still finds himself pursued by Harry (Joe Pesci) and Marv (Daniel Stern), the same crooks who harangued him in the first movie; this time they're out for revenge. Additionally, Kevin must deal with a pesky hotel concierge played by Tim Curry, but he finds unlikely allies in the owner of a toy emporium and a bag lady who provides food for the pigeons in the park. Meanwhile, audiences get a lovely glimpse of NYC at Christmas.